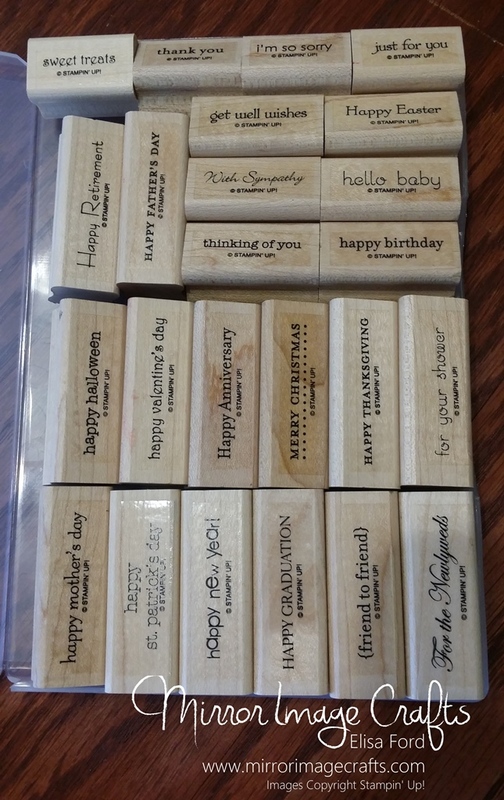 Q&A: Help Me Fit My Stamps Into the Case! For today’s Q&A I have a question that I had recently, with the solution! 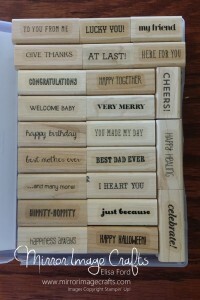 I recently held a Stamp-A-Stack in my home where we used the And Many More stamp set in wood mount. 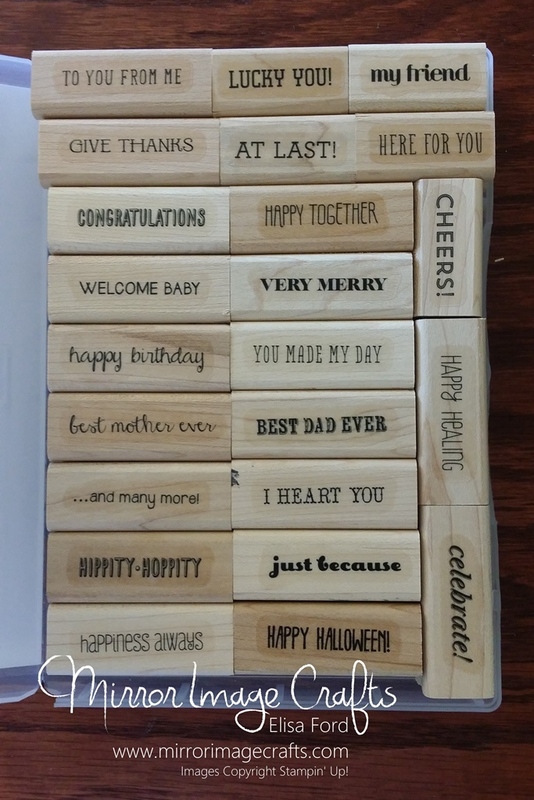 During my classes, I encourage my attendees to change the sentiment for their cards to be what they need, so I get out many stamp sets with lots of sentiments. 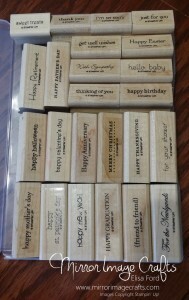 The wood mount stamps in the new wood mount cases can be tricky to fit back into the box, if it’s a tight fit. It took me a few minutes, but I got all the stamps to fit easily into the case, so I wanted to share the photo so you don’t have to have the same problem! Check out the photo, click it to make it larger, and/or print it to mount inside your case.